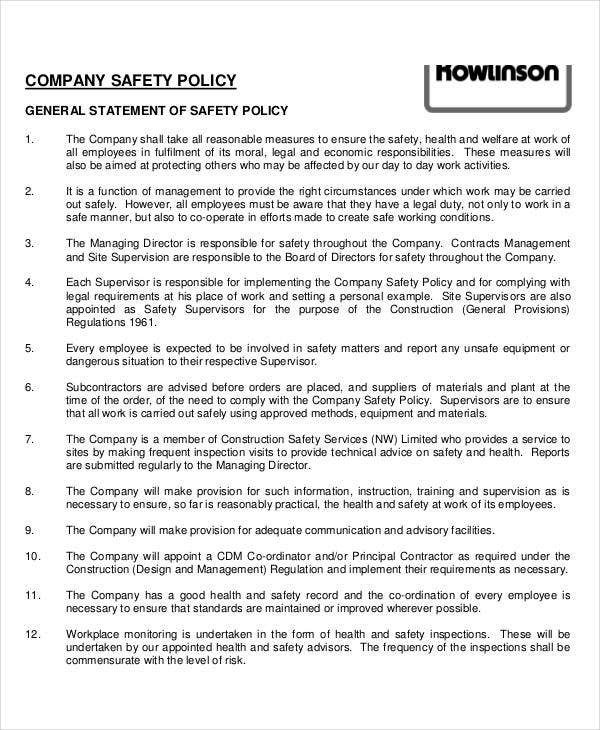 A company policy is the set of guidelines being curated, documented and implemented to assure the proper application of the company rules and regulations about particular items that concern specific business operations and processes. 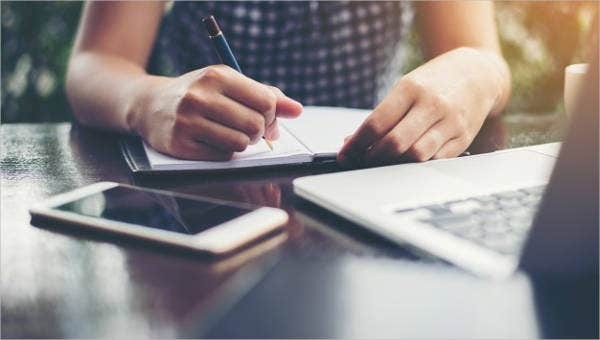 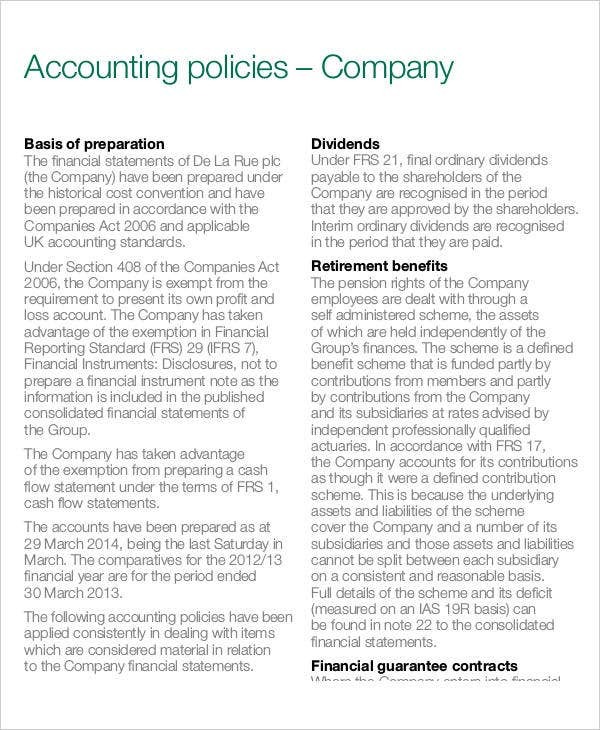 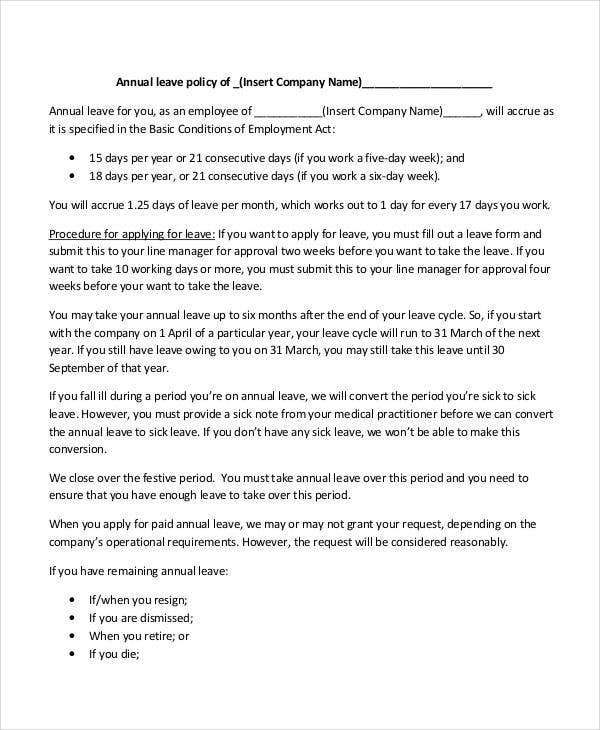 It is very important for employees to be aware of the different company policies as they will be subjected to follow these within the duration of their stay in the business. 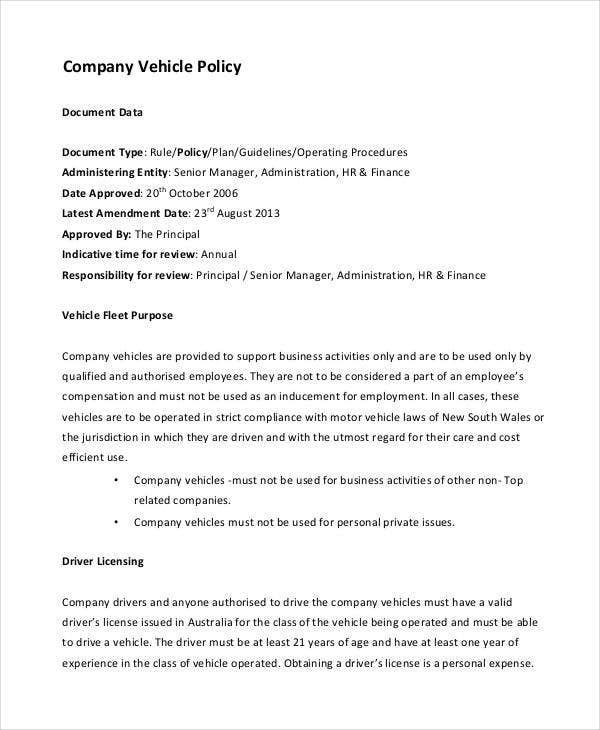 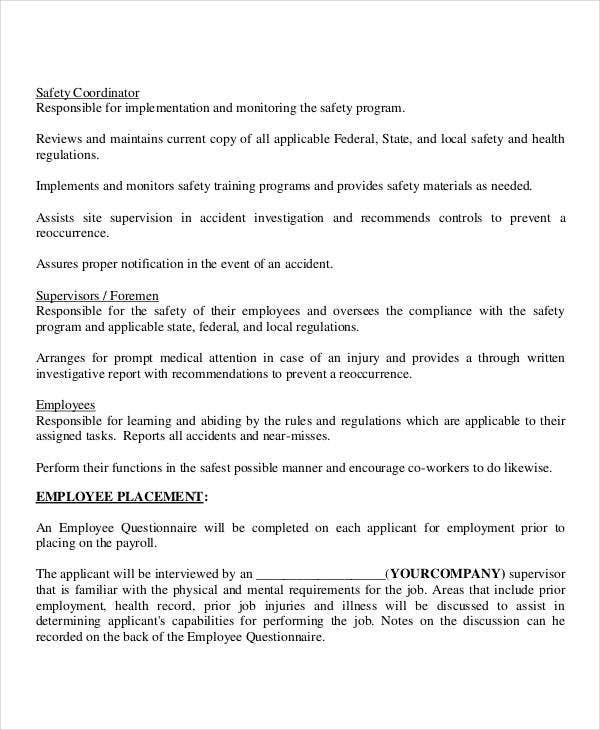 We can give you samples of company policy templates should you be needing information about the items that can be found it this kind of document. 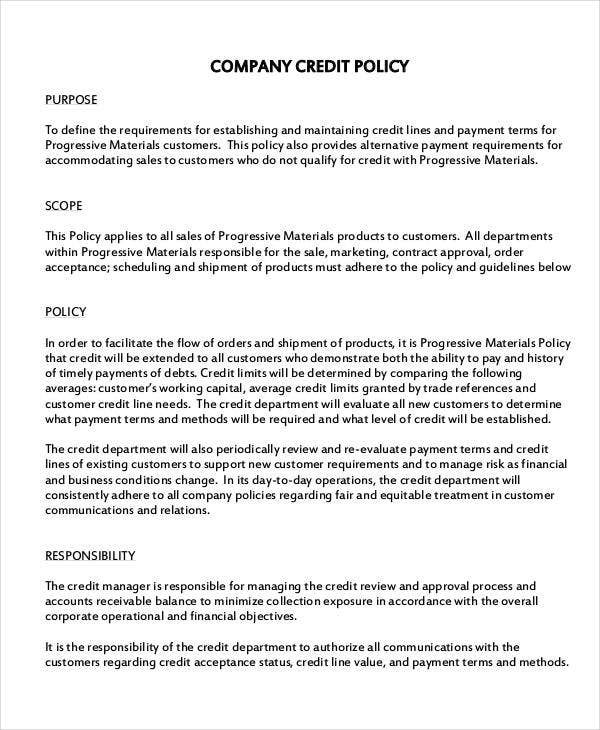 If you think that the templates that we will provide in this article are still not enough to supply the needed knowledge that you want to have regarding this particular item, then you may browse our other samples of Company Policy templates. 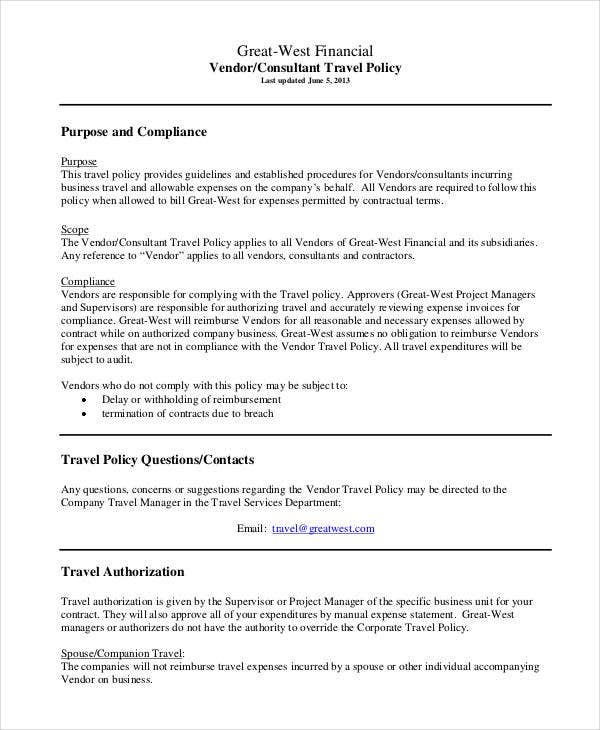 A company travel policy is a set of guidelines that are needed to be followed by an employee when he or she is traveling for the purpose that will benefit the company or the business. 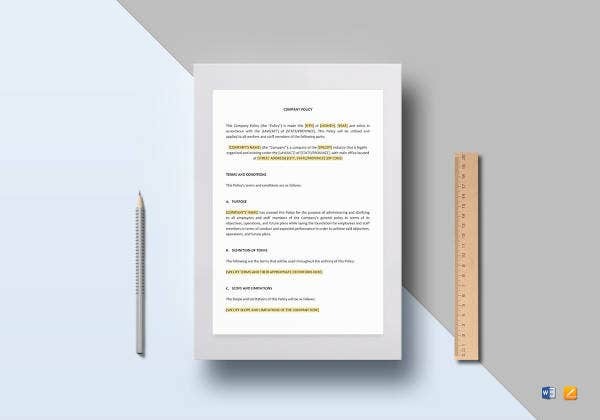 It is the list of the procedural agreement that he or she needs to be aware of and other items that are involved in the particular travel that he or she is to do. 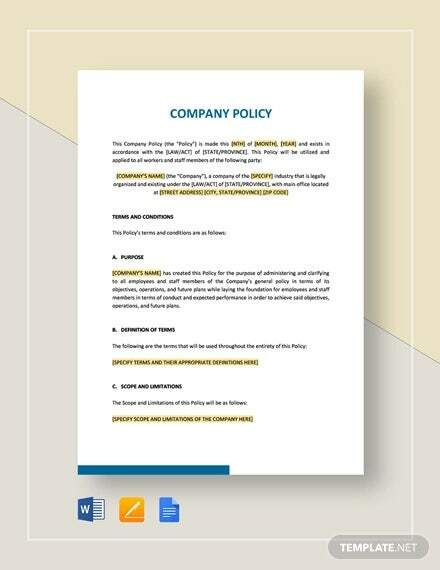 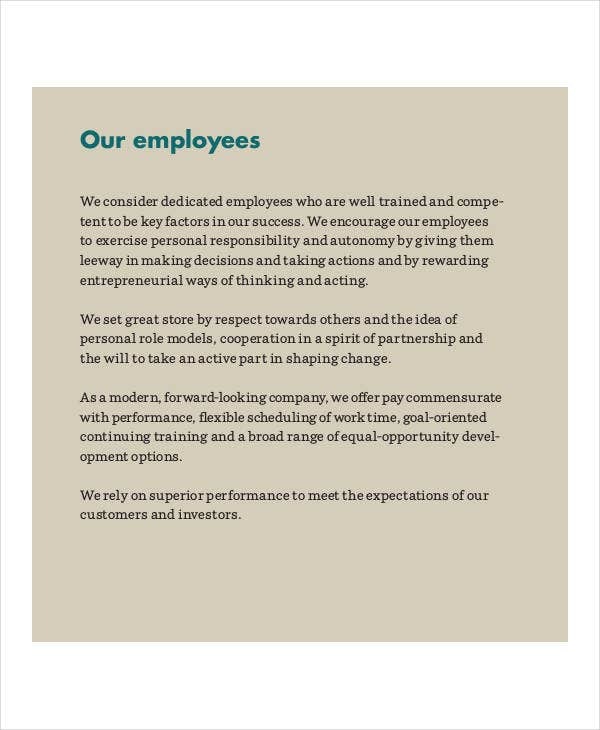 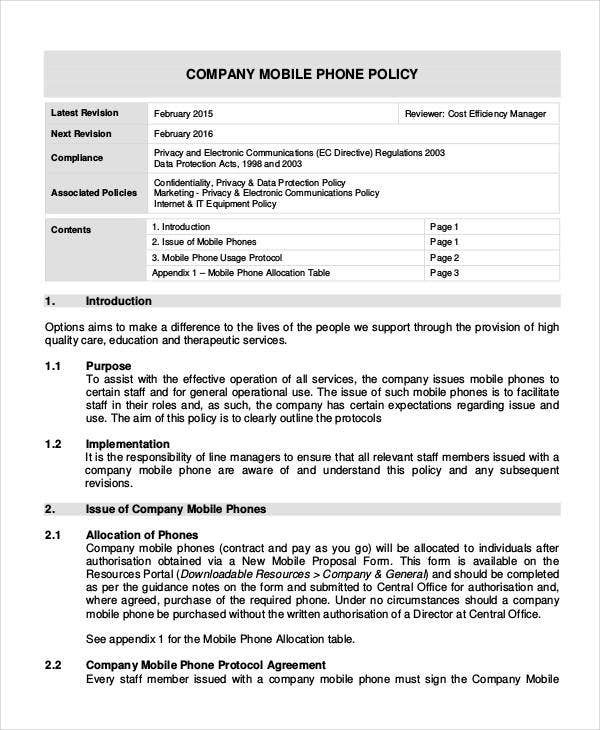 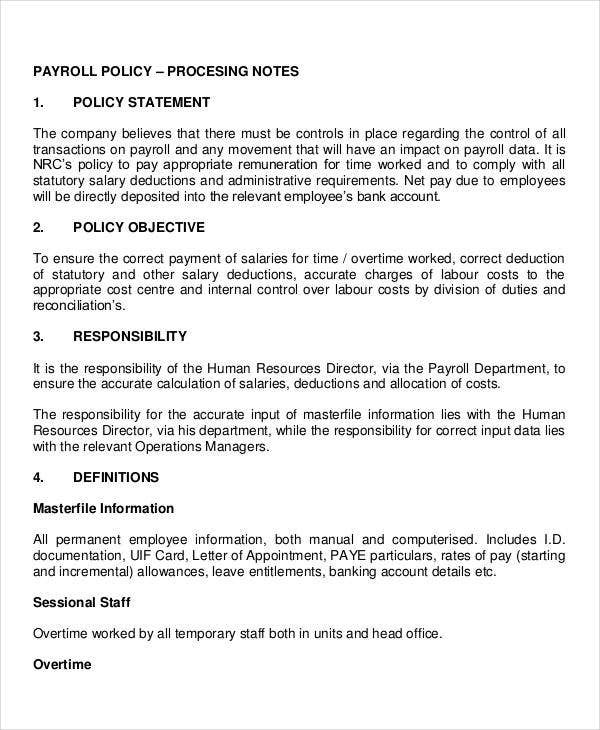 Aside from our samples of company policy templates, you may also be interested to download and use our Word Policy Template samples and templates of Human Resource Policies.